Many film fans consider Humphrey Bogart the ultimate star of Hollywood’s golden era. He rose from supporting roles in the early 1930s to become a superstar by the end of the decade. Bogart appeared in more classic films than just about any other actor in American cinema. In addition to The Maltese Falcon, Casablanca, The Big Sleep, The Treasure of Sierra Madre, and The African Queen, Bogart starred in dozens of other highly regarded films until his death in 1956. In The Essential Humphrey Bogart, Constantine Santas looks at the most important films of this Hollywood legend’s career. 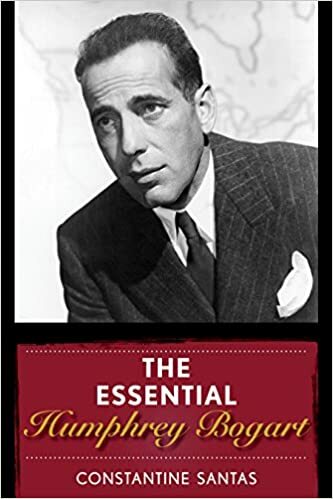 Along with the established classics, this book discusses other films that showcase Bogart’s superb acting talents, such as High Sierra, To Have and Have Not, Key Largo, In a Lonely Place, Beat the Devil, The Caine Mutiny, Sabrina, and The Desperate Hours. Presented in chronological order, these films chart the actor’s ascent from stereotypical roles as gangsters in The Petrified Forest and Dead End to iconic roles like that of Sam Spade, Rick Blaine, and Philip Marlowe. In all of these performances Bogart showed his versatility, playing a variety of characters from tough detectives and war heroes to a lawyer, writer, gold prospector, river rat, and even a priest. Containing a brief biographical sketch of the actor, this volume then looks at each of Bogart’s most significant films. Each entry states why the particular movie was included and is followed by a plot analysis, critical views from film historians, and DVD/Blu-ray availability. A key to the ranking system helps the reader select what film to view at his or her leisure. Highlighting more than thirty-five films, The Essential Humphrey Bogart is a must-have companion for every fan of this actor’s work and will no doubt introduce viewers to other films to put on their must-see list.